On the weekend of January 26 & 27, we joined together to make our renewal of treasure commitment for 2019. The continued success of our parish’s mission and ministry counts on each and everyone of us saying ‘yes’ to a renewed sacrificial gift. 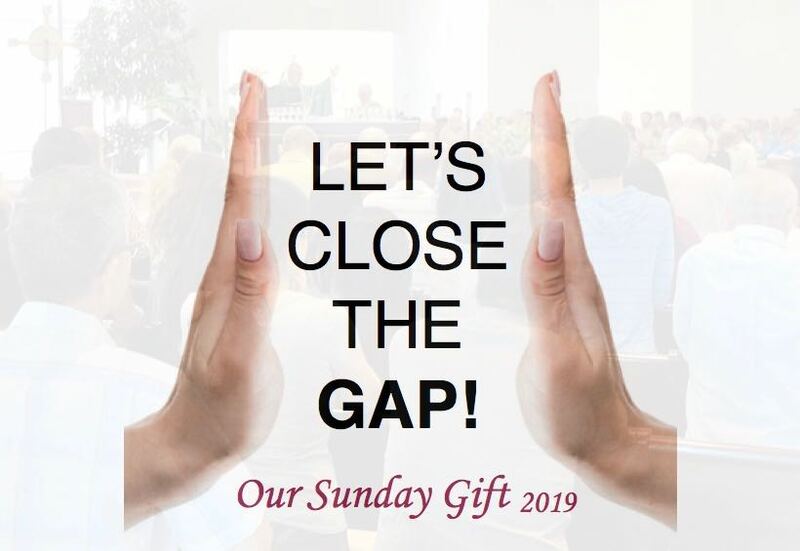 Together, we pray for a full and generous response of all of our parishioners as we set out to ‘Close the Gap!’ for our financial well being. 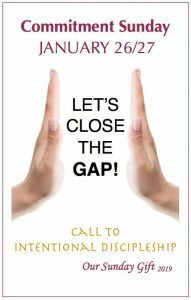 If you have not yet submitted a response, please bring your commitment card to Church this Sunday. Commitment cards are also available in the narthex. We are counting on you!